The 2018 school year is fast approaching, as the first day of student attendance for the West Carroll School District is Tuesday, August 21, 2018. 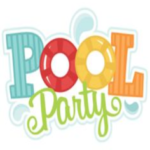 To help the children kick off another fantastic school year, the Carroll County Housing Authority is sponsoring a Back-to-School Pool Party. All Carroll County Housing Authority tenants are invited. We hope to see you there! NOTE: CCHA will be distributing school supplies (and lots of goodies) to all the Carroll Apartments school-aged children that are signed up, and in attendance at the Pool Party. Also, please be advised that all attendees will need to sign a Registration/Liability Waiver & Release Form to participate in the swimming. ** R.S.V.P. to the CCHA office at 815-273-7081 by Friday, August 3rd. This entry was posted in News & Announcements on August 2, 2018 by pattyaccha@grics.net. 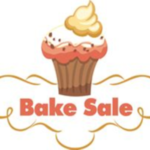 Our CCHA Resident Committee will be hosting a Bake Sale, and we NEED YOU…. Donate your baked goods, or confections for the Bake Sale. There is a Sign-up Sheet located in the Mest Manor Lobby. Saturday, August 11th by 10:00 a.m.